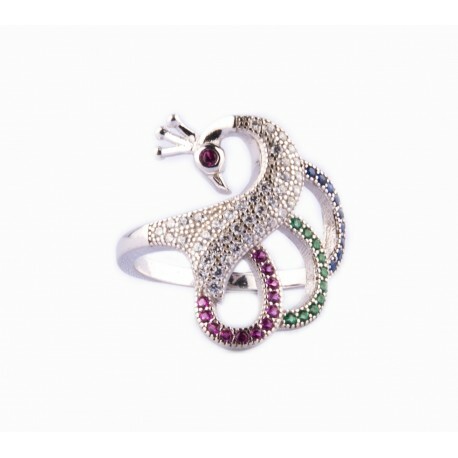 Earn some admiration with this beautifully designed silver-toned stone-studded peacock shaped statement ring from The Ethnic Story. 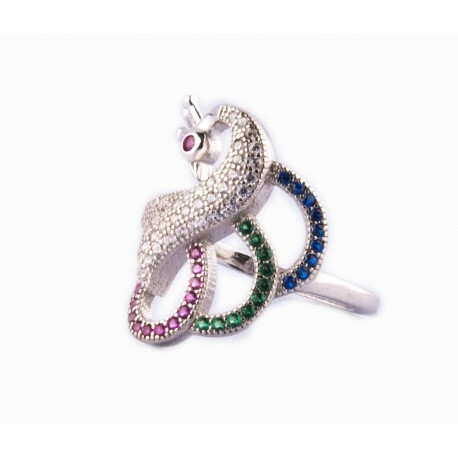 This pretty piece goes perfectly well with your ethnic attire. The ring Size mentioned is in accordance with the plastic ring measurer.